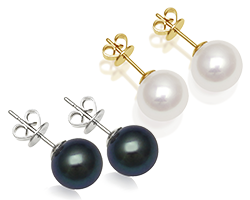 From stunningly simple freshwater pearl studs, to impressive South Sea drop earrings; from pure white Akoyas, to rich, dark Tahitians from exotic lagoons, Absolute Pearls have an extensive range of classic and contemporary pearl earrings to suit any woman’s style, taste and budget. 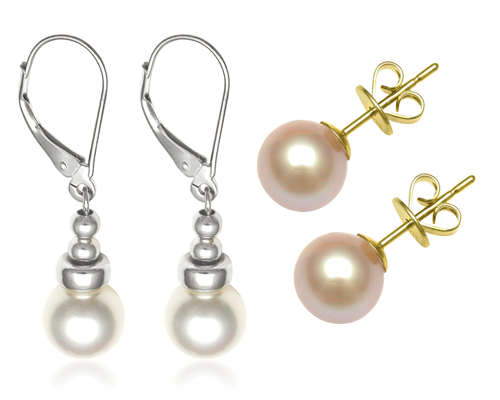 For work, for weddings or for special occasions, pearl earrings are at home almost anywhere, adding a chic style to any look. 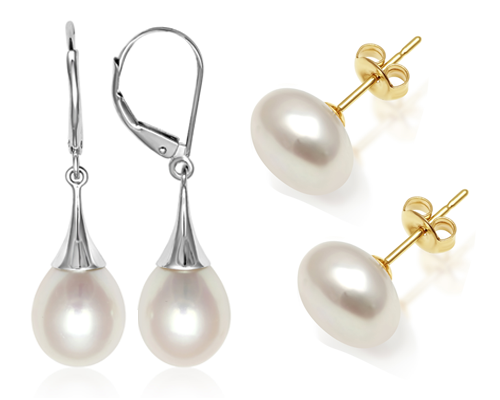 Timeless in style, pearl stud earrings are a must for any woman’s jewellery box. 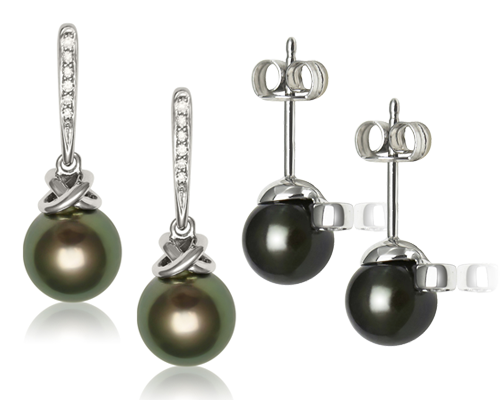 Drop earrings are the perfect partner to a pearl pendant or a classic string of pearls. 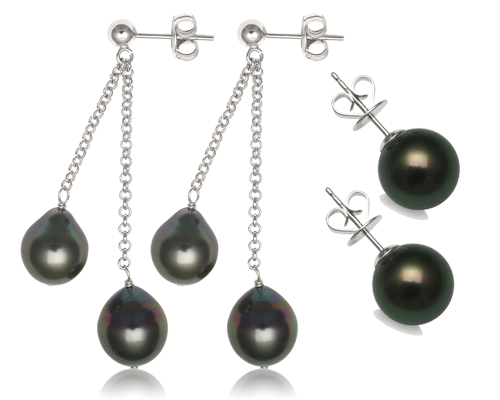 Black pearl earrings make a real style statement that sets you apart from the crowd. 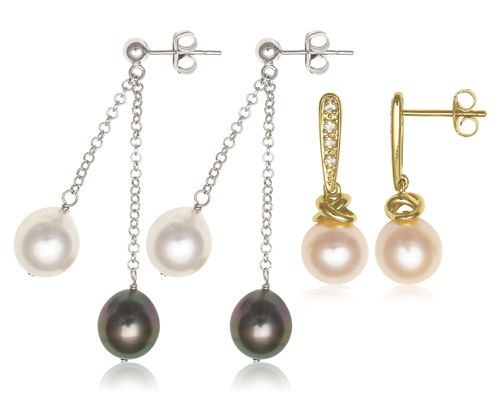 These fine freshwater pearl earrings can rival Akoyas for luxurious lustre and exquisite quality. 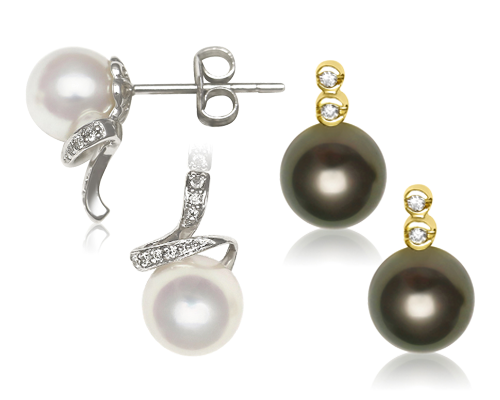 A superb collection blending the sparkle of diamonds with the lustre of pearls to stunning effect. 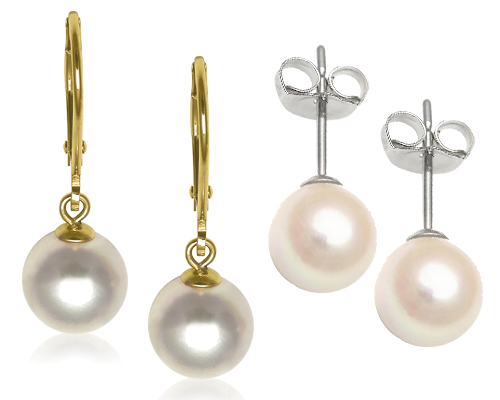 Precious pearls deserve nothing less than the splendid shine of high quality white or yellow gold. 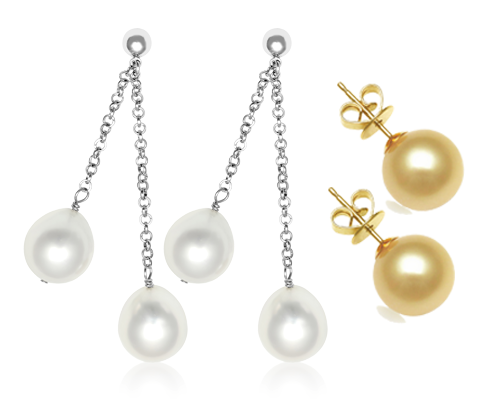 Our pearl earring collection has something for everyone and every budget, from affordable everyday baroque pearl studs and silver pearl earrings, to luxurious gold, diamond and pearl earrings. 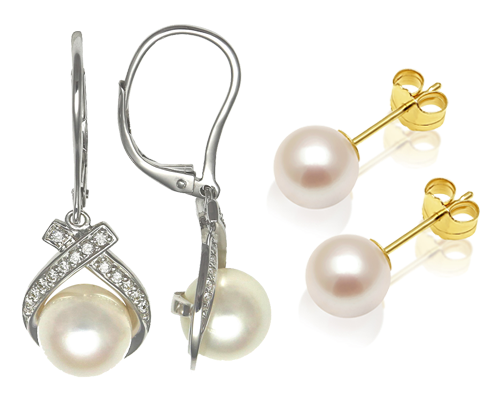 You can enjoy the style of pearl earrings even if you haven’t had your ears pierced, with a choice of clip on styles across the range. At Absolute Pearls, we have years of experience in choosing and matching pearl jewellery, and we’d be delighted to help you find the perfect pearl earrings to match your existing pearl necklace. Talk to our friendly team today for expert advice, whether you’re buying for yourself or want to get it just right for that special someone.